Richard Mayson’s Guide to Vintage Port is the most up-to-date, authoritative information source on vintage Port and its producers, and Infinite Ideas is making it available free of charge as a PDF or ebook. Updated on a twice yearly basis the directory also contains an introduction to the production of VP and expert tasting notes, drawn from the latest edition of Richard’s prize-winning Port and the Douro, published by Infinite Ideas in its Classic Wine Library. buyers and all Port enthusiasts. This directory of vintage Ports is the fruit of the author’s thirty years’ experience in writing about Portuguese wine, visiting the producers and discussing their products with them. The guide to Port vintages takes each year in turn, noting relevant weather conditions, market considerations and the overall style of the wines, and highlights particularly successful shippers. Richard assesses each and every year back to 1960, which roughly coincides with the emergence of single-quinta vintage Port (SQVP) in between fully fledged declarations. Richard Mayson’s Guide to Vintage Port provides full contact details and tasting notes for over 50 vintage Port producers and shippers. To find out more about this unique resource you can download a copy from our website. 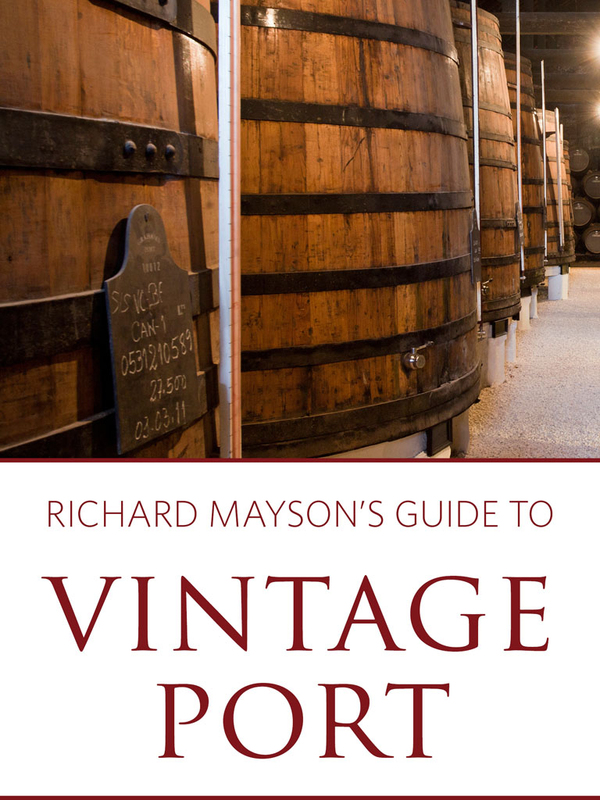 Richard Mayson’s Guide to Vintage Port is available as a paperback, PDF or ebook. Richard Mayson has worked as a freelance wine writer and lecturer since 1989. His first book, the award-winning Portugal’s Wines and Wine- Makers, was published in 1992. He also wrote The Story of Dow’s Port, published to coincide with the company’s bi-centenary in 1998. The first edition of Port and the Douro, published in 1999, was short-listed for the Andre Simon Award and the second edition, published in 2004, won the Symington Award of Excellence. His book The Wines and Vineyards of Portugal won the André Simon Award for the Drinks Book of the Year in 2003. Richard has contributed to a number of publications, including the Oxford Companion to Wine and the Larousse Encyclopaedia of Wine. He writes regularly for Decanter and the World of Fine Wine, and lectures toWine and Spirit Education Trust students and at Leith’s School of Food and Wine in London. Richard currently divides his time between his home and business interests in the Derbyshire Peak District and the Alentejo, Portugal where he owns a vineyard. In 1999 he became a Cavaleiro of the Confraria do Vinho do Porto. Richard Mayson has been shortlisted for the International Wine Feature Writer of the Year, Louis Roederer Champagne 10th International Wine Writers’ Award 2014.